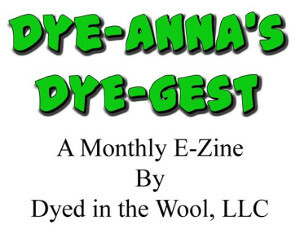 This month's Online Guild workshop is a Bowmont Fleece Challenge. When it was first scheduled last year, I was very interested and signed up. Having never heard of the Bowmont breed, I immediately went to Oklahoma State's Breeds of Livestock website to look it up. They didn't list it! Actually the breed is quite rare, though not rare in the sense of how one usually thinks of rare breeds, i.e. an old breed in danger of becoming extinct. Rather this is a fairly new breed, with approximately only 100 breeding ewes in the UK, many of which are not even being bred to Bowmont rams. The breed was developed 20 years ago, when a team of geneticists and fiber biologists at the Macaulay Land Use Research Institute in Aberdeen, Scotland, determined to develop a breed which would be of economic benefit for hill farmers. Their goal was to produce a breed with fleece of superior fineness, like Merino, but hardy enough to survive the conditions on the British Isles, unlike Merino. They chose British Shetland ewes and Saxon Merino rams. The offspring were then bred back with Merino, to produce a core stock of 75% Merino and 25% Shetland. For the next 15 years, the Macaulay Institute implimented a selective breeding program to improve fiber quality, developing the Bowmont breed of today. Unfortunately, the Institute's research farms were eventually closed, and the Bowmont flock was either sold or slaughtered. Lesley and Roger Prior, of Devon Fine Fibres in the UK, were able to purchase a small flock of 16 ewes and two rams, in hopes of preserving this valuable new breed. Lesley is a member of the Online Guild, and made the fleece available for a guild fiber challenge. All the photos posted here are hers, and are used with her gracious permission. For the challenge, I was able to purchase 50 grams of clean Bowmont fiber, plus 10 grams of Scottish Cashmere ( also from Lesley's flocks) for blending with the Bowmont. I will report on these in my next posts. Next - Assessing the Bowmont fleece. and about knitting fast: it's easy to knit a lot - when you (or better I:)) don't weave! and it took me quite long for the pima sweater - because I always do other things in between... I sometimes admire people who start one project, see it through and only start the next when the first one is done! but then they don't get the satisfaction of finishing 5 things in one week (and neither the frustration it takes to get to that point....)! happy spinning (while I have to pluck off ramie that sticks to everything while spinning it)! I'd love to spin a Shetland/Merino cross fiber. Merino doesn't have luster and Shetland doesn't have crimp. Wouldn't this be a lucious wool?! I'll be watching for your reports. Hey Leigh - check out these buttons that the gal at lavendersheep just got! They are too cute - perfect for your sweater! Love the look of the bowmont sheep - (and the new look of your blog!) Hope all is well! T.
Leigh, that was so interesting reading about how a breed came about. The pictures of the sheep are really nice. I will interested in hearing how the spinning goes. I like those Bowmont sheep, they are beautiful. Great story.